With the potential for a lame-duck vote by Congress on the Trans-Pacific Partnership (TPP) following this November’s election, the IAM is urging members of both houses of Congress to publicly announce their opposition to the flawed trade deal. Some of the world’s biggest corporations are pushing for the TPP and are relentlessly lobbying to have a lame-duck vote on the deal. The White House is also mounting a TPP charm offensive. 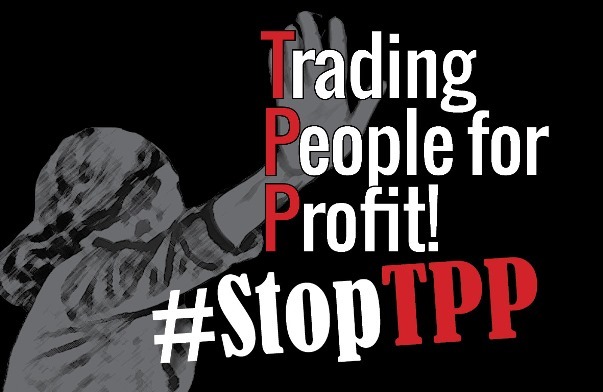 Even with this push by our opponents, we can still kill the TPP. The IAM and a broad coalition of partners have stepped up efforts to mobilize on TPP. You can do your part by telling your Senators and Representative to speak out against the TPP and against having a lame-duck vote. Call 855-712-8441 today. You will be connected to your Representative’s office to tell them to publicly oppose the TPP. If we all take action together, we will make a serious impact on Capitol Hill.